What was old is now BRAND NEW from the ground up, complete rehab including the plumbing, heating, and electric. Not only is there a new furnace/central air, the upstairs has it's own new furnace/central air as well. Triple waterproofed foundation, and super clean WALK- OUT basement. Loads of upgraded finishes along with architectural details make this one of a kind, 2 story a rate find. Located in original town of Crown Point, within walking distance to the square. Great floor plan that features 3 bedrooms and 2 full baths upstairs and 4th bedroom and another full bath on the main level. LOADS of storage and closet space, including a walk in pantry. Updated kitchen has island W/breakfast bar and brand new appliances. 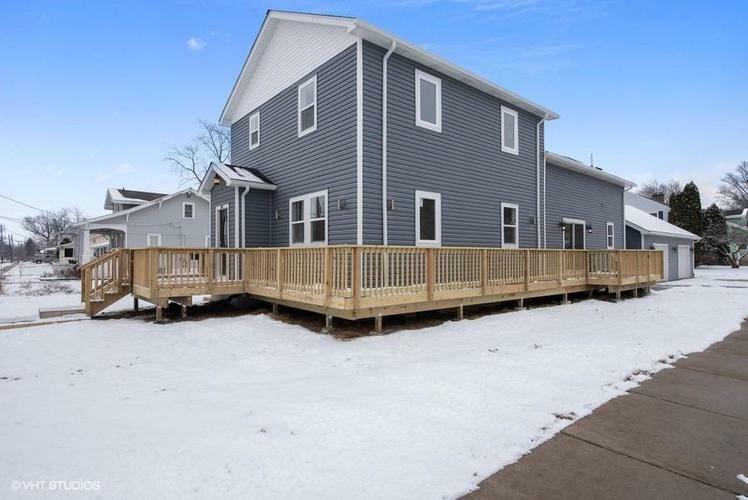 Exterior features a hugh Wrap around deck with an additional deck to access the home from the rear, 3 car garage with even more storage and so much more.